Catalans back-rower Louis Anderson will hang up his boots at the end of the season. The 33-year-old joined the Dragons from Warrington Wolves in 2012 and has scored 34 tries in 134 games for the Perpignan club. 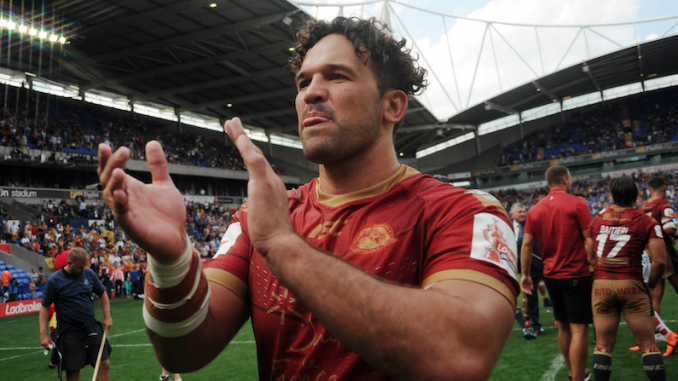 Anderson became the third overseas player to reach 100 Super League appearances while representing Catalans. On his decision to retire, he said: “The time has come to chase something different. Catalans coach Steve McNamara has paid tribute to Anderson for his efforts. He said: “Louis has been a fantastic servant not only for the Catalans Dragons but also the whole of rugby league. “He is highly respected by everyone within the game. “His decision to retire after a glittering career will leave a big void to fill within our team. Anderson earned 18 caps for New Zealand.